Officer Mike DiSanza of the New York Police Department was a cop just like any other, patrolling the subways and streets of Harlem, when a near-death experience led to an amazing turnaround in his perception of the world around him. He discovered a new message of hope and compassion for all of God's people and a new call on his own career. 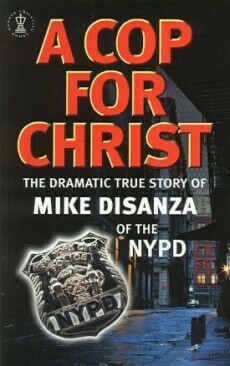 A Cop for Christ tells Mike's dramatic story, from his growing up in the Bronx, New York through more than twenty-two gritty years with the NYPD and his astonishing ministry taking the love of Jesus to people who know life only as a struggle for survival. Mike DiSanza is President of International Cops for Christ, which has been serving the needs of police men and women around the world for more than 25 years. He has written this book with freelance Christian writer Liz Hinds.